Please cite this article as: Basak, S., Guha, P., Use of predictive model to describe sporicidal and cell viability efficacy of betel leaf (Piper betle L.) essential oil on Aspergillus flavus and Penicillium expansum and its antifungal activity in raw apple juice, LWT - Food Science and Technology (2017), doi: 10.1016/ j.lwt.2017.03.024. This is a PDF file of an unedited manuscript that has been accepted for publication. As a service to our customers we are providing this early version of the manuscript. The manuscript will undergo copyediting, typesetting, and review of the resulting proof before it is published in its final form. Please note that during the production process errors may be discovered which could affect the content, and all legal disclaimers that apply to the journal pertain. Penicillium expansum using predictive model and its antifungal activity in raw apple juice. scatter parameters of flow cytometer suggested differences in size and complexity of spores. spores. The cell viability effect of BLEO-ME on mycelial matrix of A. flavus and P.
bacteria so far in current scientific literature. interaction, and improve quality and safety of food (Weiss et al., 2009; Donsì et al., 2011). unfiltered or raw apple juice can be a promising alternative to chemical preservatives. harvested by washing using a centrifuge and were re-suspended in 1 ml PBS buffer (pH 7.4). determined on plates that have colonies ranging 10 and 100. This model has three parameters (N0, δ and β) where N0 is spore concentration at the t = 0.
curve and β <1 will describe convex curves). FACSAria™ III, BD Biosciences, USA). sessile cell minimum inhibitory concentration (SMIC) of BLEO using tetrazolium salt MTT. microtiter plate reader (Epoch 2, BioTek, USA). slope of the curve is defined by activity slope. of P. expansum grown on raw apple juice treated with different concentrations of BLEO. so as to avoid the loss of newly growing mycelia fragments at the bottom of the flask. ml methanol and syringe filtered (0.45 µm). resulting ergosterol was expressed in mg of ergosterol per sample of raw apple juice. were incubated till 30 days. ACCEPTED MANUSCRIPT BLEO. The surviving spores decreased gradually with increase in treatment time (Fig. 1). using single hurdle (BLEO) keeping other rate limiting factors at the optimum level for P.
population supported the sporicidal activity of the essential oil. efficacy of savory, oregano and rose oil against A. flavus as compared to Penicillium spp. in raw apple juice on germination of P. expansum spores during the incubation period. 2014). Among a few previous reports on essential oil based microemulsion, Wang et al. based microemulsion against B. cinerea and P. digitatum on pears and orange, respectively. our study involves BLEO-ME with water as continuous phase. assistance, infrastructure and facilities to conduct the research. They also thank Dr. S. L.
Department, IIT Kharagpur for their continual support throughout. synthetic media. International Journal of Food Microbiology, 215, 171–178. flavus in tomato paste. LWT - Food Science and Technology, 75, 616–623. species. Brazilian Journal of Microbiology, 39(2), 362–367. different pH. Procedia Food Science, 1, 1007–1014. vapours. International Journal of Food Microbiology, 122(1–2), 68–73. vapours. 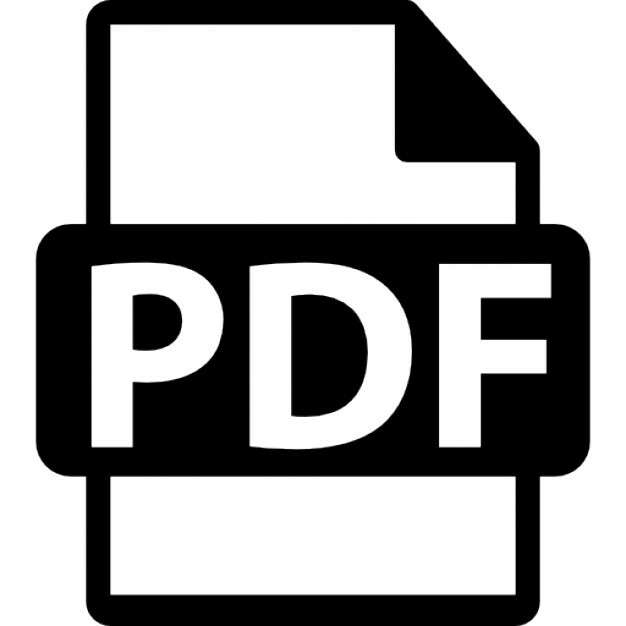 Journal of Applied Microbiology, 109(2), 408–14. plasma reactor. International Journal of Food Microbiology, 216, 50–59. Dhingra, O. D., Jham, G. N., Rodrigues, F. Á., Silva, G. J., & Costa, M. L. N. (2009). FAO. (2001). Manual on the application of the HACCP system in mycotoxin prevention and control. FAO Food and Nutrition Paper 73. Fujikawa, H., & Itoh, T. (1996). Tailing of thermal inactivation curve of Aspergillus niger spores. Applied and Environmental Microbiology, 62(10), 3745–3749. growth in food. Trends in Food Science & Technology, 8(November), 353–358. Reviews in Food Science and Technology, 3, 381–403. fumigatus. Journal of Antimicrobial Chemotherapy, 55(6), 914–920. thermal preservation methods : Application of the Weibull frequency distribution model. Treatments against Escherichia coli O157:H7, Salmonella , and Listeria monocytogenes. Journal of Food Protection, 64(11), 1679–1689. medium. International Journal of Food Microbiology, 121(2), 139–149. Meletiadis, J., Meis, J. F. G. M., Mouton, J. W., Donnelly, J. P., & Verweij, P. E. (2000). gamma radiation on the viability, growth and metabolic activity of fungal spores. International Biodeterioration Biodegradation, 84, 250–257. Pauli, A. (2006). α-Bisabolol from Chamomile – A specific ergosterol biosynthesis inhibitor? The International Journal of Aromatherapy, 16, 21–25. ACCEPTED MANUSCRIPT Pierce, C. G., Uppuluri, P., Tristan, A. R., Jr, F. L. W., Ramage, G., & Lopez-ribot, J. L.
Ratkowsky, D. A. (2003). Model fitting and uncertainty. In Robin C. McKellar, Xuewen Lu, (Ed. ), Modelling Microbial Responses in Foods (pp. 151-196). Boca Raton: CRC Press. Rautenbach, M., Gerstner, G. D., Vlok, N. M., Kulenkampff, J., & Westerhoff, H. V. (2006). Biodeterioration & Biodegradation, 62(4), 348–351. Stević, T., Berić, T., Šavikin, K., Soković, M., Gođevac, D., Dimkić, I., & Stanković, S.
medicinal plant. Industrial Crops and Products, 55, 116–122. Issues in Food Science and Technology (pp. 425–479). San Diego: Academic Press. Fig. 1. Survival curves of (a) A. flavus (b) P. expansum spores treated with MFC of BLEO. Fig. 2. SEM images showing morphological alteration of untreated spores: A. flavus (a), P.
Fig. 3. Dose-response curve representing percent growth inhibition of (a) A. flavus and (b) P.
The values followed by same letter in same column are not significantly different according to ANOVA and Tukey’s multiple comparison tests. Report "Use of predictive model to describe sporicidal and cell viability efficacy of betel leaf (Piper betle L.) essential oil on Aspergillus flavus and Penicillium expansum and its antifungal activity in raw apple juice"